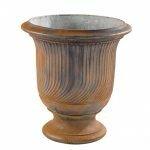 With its smooth curves and banding detail the Lipa Planter is a sought after classic perfect for formal garden designs. 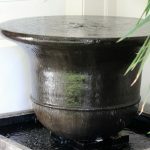 Available in 3 sizes and various colours (some by special order) the Lipa is a stable and voluminous outdoor planter. 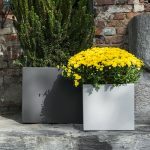 The Lipa planter is made from GRC – A composite material, consisting of high quality glass fibre and cement which makes it strong, durable, UV resistant and impenetrable to water. 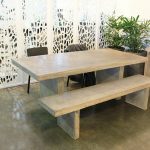 It is 75% lighter than cast concrete. This planter is designed to weather over time to give a classically aged appeal. 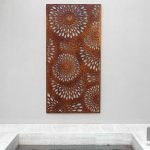 Available in three sizes and can be converted into a water feature.